Cowen, Diane. "Creating a Jewel." Houston Chronicle (April 1, 2018): G6. Ward, Alyson. "Good Brick Awards Recognize Historic Preservation Efforts." Houston Chronicle (February 23, 2016): E1--E2. Alexander, Cheryl. "Abode Americana." Houston Lifestyles & Homes (June 2015): 46-53. Albert, Amy. "Heart of Stone." Builder - The Magazine of the National Association of Home Builders: Project of the Month (September 2013). Davidson, Staci. "True Colors." 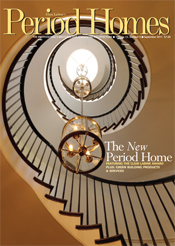 Modern Home Builder (Fall 2013): 102-103. Hsin, Annabel. "Georgian Approach." Clem Labine's Period Homes (September 2011): 22--25. Edwards, Julie. "An Enduring Firm Continues to Create Custom Homes in a Once-Untapped Market." Luxury Homes Quarterly (July 2011). Editor. "2008 Excellence Awards." Residential Design & Build (July / August 2008): 34. Voung, Mary. "A View of the World Outside." Houston Chronicle (October 2008). Editor. "Custom Home Development." Residential DESIGN & BUILD (July 2008). Jones, Penny. "Southern Hospitality." Houston House & Home (February 2007): 34--39. Editor. "Area Fall Home Tour Puts the Focus on Construction and Design." Houston Business Journal (September 2006). Pugh, Clifford. "New Styles at Home in the Neighborhood." Houston Chronicle (October 2006). Sweet, Roland. "Change-of-Pace Place." Log Homes Illustrated (October 2005): 46--53. Editor. "Terrace Adds Impact." Outdoor Living (Spring 2005): 34--37. Pare, Stephen. "Take Cover." Houston House & Home (October 2002): 22--29. Staab, Nancy. "French Country Flair." Southern Living (October 2002): 156. Staab, Nancy. "Cool Courtyard." Southern Living (June 2002): 156. Editor. "Letter Perfect." Log Home Living (April 2001): 120--127. Hamm, Madeleine McDermott. "A Storybook Log Cabin." Texas, Houston Chronicle Magazine (December 2000). Kolpas, Norman. "Holiday Hideaway." Home (December 2000): 106--111. Hamm, Madeleine McDermott. "Diverse by Design." Texas, Houston Chronicle Magazine (September 2000). Tejada, Carlos and Barta, Patrick. "Big Footprints." The Wall Street Journal (January 2000). Hauser, Vincent. "Houston Bungalow." Texas Architect (March / April 1996): 70. Moulden, Joetta. "Porch Song." Houston Life (September 18--October 15, 1994): 78--85. Rosen, Pat. "A Success Story: Architect's Home Designs Meant to Endure Neighborhood Shifts." The Houston Post (November 1993). Barna, Joel Warren. "Renewing Eclecticism." Texas Architect (May / June 1992): 40--51. Davidson, Leslie Barry. "An Acadian Cottage." Fine Homebuilding: Annual Issue on Houses (Spring 1992): 36--41. Hallam, Linda. "Strategic Design for Home Sewing." Southern Living (February 1992): 96--97. Mason, Katrina R. "About Face." Remodeling (September 1991): 72--77. Jones, David A. "English Country." Builder (June 1991): 101. Editor. "The Back is for the Family." Southern Living (April 1990): 106. Editor. "Louisiana Roots." Builder (March 1990): 129. Manley, David G. "A Shining Star of Hospital Design: The 1989 Hospital of the Year." Veterinary Economics (March 1990): 36--44. Editor. "Tied Together with Details." Southern Living (September 1989): 162. Lewis, Pamela. "Home Has Designs on Entertaining." The Houston Post (April 1990). Editor. "Country Kitchen." Kitchens and Baths (April 1989). Brookover, Tim. "Alpine Style." Houston Metropolitan Magazine (June 1988): 44--47. Editor. "The New Texas Architecture." Ultra (June 1988). Wood, Ernest. "Turning Toward the Water." Southern Living (July 1987): 66--68. Editor. "The Renovated Ranch." Metropolitan Home (March 1987): 90--91. Walker, Michael and Freiman, Zina. "The Suburban Renaissance." Metropolitan Home (March 1987): 62--65. McKay, Gary. "Thinking Big." Houston Home & Garden (June 1986): 60--63. Gallatin, Charles E. "Tract House Transformed." Texas Architect (March 1986): 50--51. Moulden, Joetta. "Adding On: Beach House." Decorating Remodeling (May / June 1986): 100--103, 128. Carpenter, Jolie. Spectacular Kitchens. Signature Publishing Group. 2015. Dvorscak, Miro. Architecture and Interior Design Photography. 2013. Fox, Stephen. Houston Architectural Guide. Rice University Press, Third Edition 2012. B-104, C-103, E-21, E-22, E-23, E-24, E-26, E-34, H-24, I-68, I-90, J-43, J-44, K-10, K-21, C-109B. Carpenter, Jolie. Luxury Homes: An Exclusive Showcase of Texas' Finest Architects & Builders. Signature Publishing Group, 2009. Fox, Stephen. 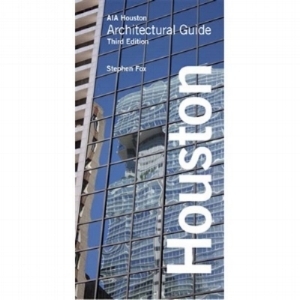 Houston Architectural Guide. The American Institute of Architects / Houston Chapter and Herring Press, Inc., Second Edition 1999. F-91, I-16, I-17, I-19, I-22, I-26, L-21, N-80, Q-5. Beasley, Ellen and Fox, Stephen. Galveston Architecture Guidebook. Rice University Press, 1996. Fox, Stephen. Houston Architectural Guide. Herring Press, Inc., First Edition 1990. F-69, I-14, I-18. Joyner, Louis. Decorating With Southern Living. Oxmoor House, Inc. 1990.